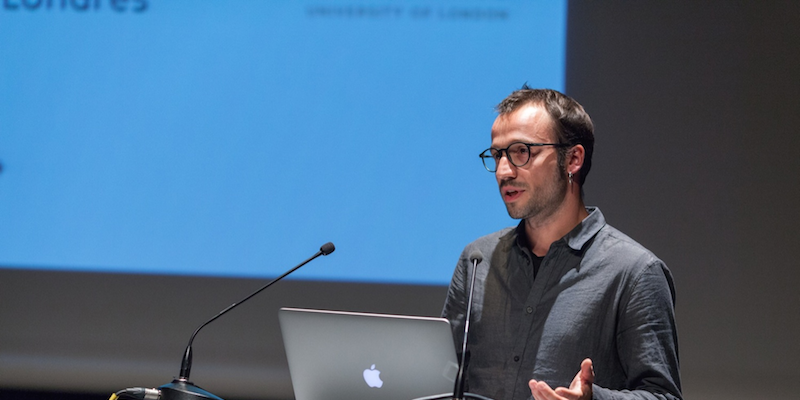 We are very pleased to announce that Dr Baptiste Caramiaux, post-doc on the MetaGesture Music project team has been awarded a Marie Skłodowska-Curie (EU) Fellowship. The project aims to enhance Human Motion–Computer Interaction by leveraging on a multidisciplinary approach between experimental psychology, music technology and computational modelling. The project contributes to two main uncharted research areas. Firstly it contributes to the fundamental understanding of sensorimotor learning processes by considering complex human motion, specifically motion in music performance. Secondly, it represents an original application of computational modelling by modelling expressive musical gestures and transferring these models to interactive systems. Baptiste’s success joins Rui Filipe Antunes’ recent award in the same scheme, and our current MC fellow in EAVI, Nuno Correia. I think that Baptiste and Nuno’s bids benefitted from the rich peer support environment we have cultivated here, and is therefore a success we can all be proud of!